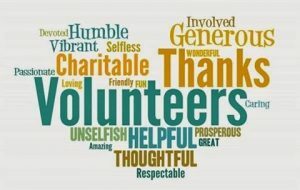 As today 5th December is international Volunteer Day and we would like to take this opportunity to thank all our amazing volunteers for their dedication and commitment. Remember Us could not function without you and we are extremely grateful to each and every one of you for all the time you have given and kindness you have shown over the past year. A HUGE THANK YOU FROM REMEMBER US.